Beer is an ingredient in the brine, but you don't have to be 21 to enjoy them! The beer style olives are one of the best olives they carry every time someone from my family heads to California, this is what we buy. on 12/1/2011 The BEST Olive! 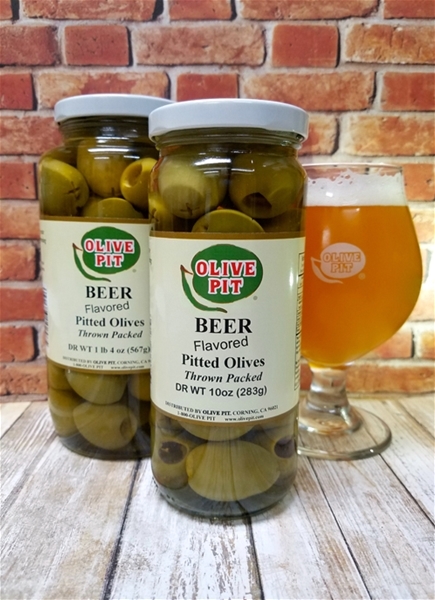 They are the BEST Olives I have ever tasted. Go well with everything. I like to use them in our Antipasto Salad. These are a family favorite. They have a mild flavor, and no stuffing. They don't taste like beer, and children like the small size.